Do Australians Need A Visa for France? So you’ve finally made the decision. You’ve fallen in love with France’s rich culture and history and have decided to pack up and move to live the European dream. But the burning question is, can you? 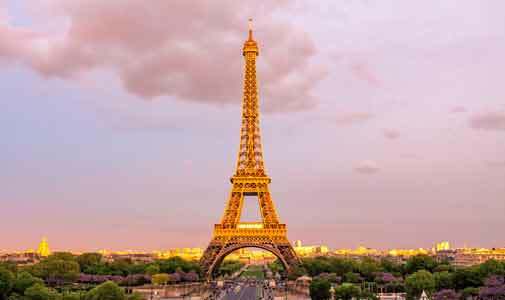 While there are no restrictions on buying a house in France there are stringent visa requirements and issues for Aussies wanting to put down roots in France. Each year, France receives over 100,000 foreign nationals who wish to settle here permanently, so how difficult is it for an Australian? As a general rule, you have to be in Australia to make your initial 12-month visa (Carte de Sejour) application, although there are other possibilities, this is without doubt the easiest and most straightforward. The process starts with an application online here. You cannot apply as a married couple or family. Each person has to make an individual application. You will need lots of documentation such as your birth certificate, marriage certificate, driver’s licence, medical records and proof of where you are going to stay in France. Make sure any copies are certified. It is a good idea to have it translated into French and take plenty of certified copies with you. There are translators in Australia who can make translations and copies recognised by the French government. You can find a list on the French Consulate website. Keep a file with all these documents as you will need them again when you get to France. French bureaucracy can be difficult to navigate and appears to be open to individual interpretation, so may depend on who you get on a particular day, but more of that later. As you go through the application it will list any additional documents you may need. Start this process at least three months before you want to leave as it can take quite a while. When you have completed and submitted your application you then have to make an appointment for a personal interview. Again, these are individual and you cannot do it as a couple although it is possible make make your interviews consecutive. The real downside of the French system in Australia is that long-term (over 90 day) visas can only be submitted in Sydney and the compulsory personal interview is only carried out in Sydney. If you live in Perth or Darwin or anywhere else, that’s just too bad, you have to go to Sydney. At the interview you will be asked lots of personal questions about your health and most importantly your ability to support yourself financially in France. Take your bank statements and any medical records you have. You also have to have proof of where you are going to stay in France. This could be a hotel or friend’s home or whatever short-term accommodation you plan to head to on arrival. Do not be discouraged if all this sounds too hard. Follow the rules, provide the documents in the format required and it will be very straightforward, the benefits will be worth it. There is also a life-hack which may save you some of this trouble. If you are eligible for dual nationality with an EU country it may stop you from standing for Federal Parliament but it makes life a lot easier if you want to live in France. So many of we Australians have European heritage so it is worth checking if you are eligible for an EU passport. My wife Lorraine and I both carry Australian and UK passports. A friend has a Greek passport, so he and his wife found it easy. If you can get an EU passport just arrive and start living here. No visas, questions or interviews. Even if only one of you can get an EU passport, life becomes easier. Spouses and dependant relatives of EU/Swiss nationals have the same entry rights (i.e. they don’t need a visa to enter France), even if they are not from the EU themselves. But they must apply for a Carte de Sejour within two months of arriving in France. On the plus side, once you have received your Carte de Sejour for 12 months you can renew it here in France. Still got your document file we mentioned earlier? The same documents are required to do this as for the original application. You may also need to supply proof of funds. If so, you will be asked for copies of certain documents such as payslips and bank statements. You may also be asked to provide proof of health cover and social security contributions. Then after renewing each year for five years, if you still want to stay, you become eligible for a Carte de Résident giving you a 10-year renewable visa. If you are intending to stay for the rest of your life, you can also apply for French citizenship after five years. One of the big benefits once you are here in France with your Carte de Sejour is you have full access to all the other countries in the Schengen Group. That is a group of countries which have agreed to get rid of their borders meaning you can jump in your car and drive to Spain, Italy, Germany and a host of other places without any border checks. In fact, often the only way you know you are in a different country is when the road signs change to a different language. As mentioned earlier, French bureaucracy can be difficult to navigate so your document file is going to come in handy. You are going to need it when you come to buy your house, open bank accounts and have utilities connected to your new home. There are plenty of people who have set themselves up in business to help you. We have been going to an English woman, married to a French man, who knows the system inside out and has been of terrific assistance to us. Most importantly, after three months residency in France you will be eligible to join the world’s best healthcare system by applying for your Carte Vitale, which is like a Medicare card, and when you will again be asked to produce your documentation. For some additional reading I would heartily recommend the information booklet by the General Directorate for Foreign Nationals in France, “Coming to Live in France” available here. Please note that I have written this with retirees in mind and that individual circumstances may vary from person to person. There are also numerous visas and requirements for people wanting to work, study or carry on some form of business in France and it’s worth contacting the Sydney Consulate-General’s office for more information on these types of visas. U.K. passport holders may also find the situation has changed after Brexit.